Post pictures of your TLK collection! 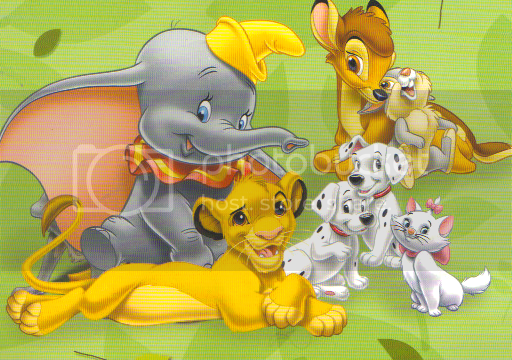 I'm not gonna spare anyone the boring details, I have 2 TLK DVDs, 2 Simba's Pride DVD, 1 Simba's Pride VHS, 1 TLK1.5 DVD, a few lame books and a few plushies. I have taken pictures of my awesome collectibles. The first one is, without question, the pearl of my collection. 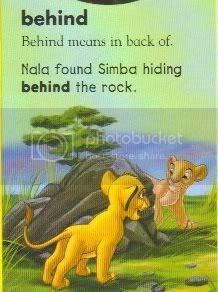 I am one of the 3500 Lion King fans that own this epic 1st edition book, its the source of many concept/storyboard images that are on MLK. This cloth-bound book has been signed by Peter Schnieder, Don Hahn, Rob Minkoff & Roger Allers. 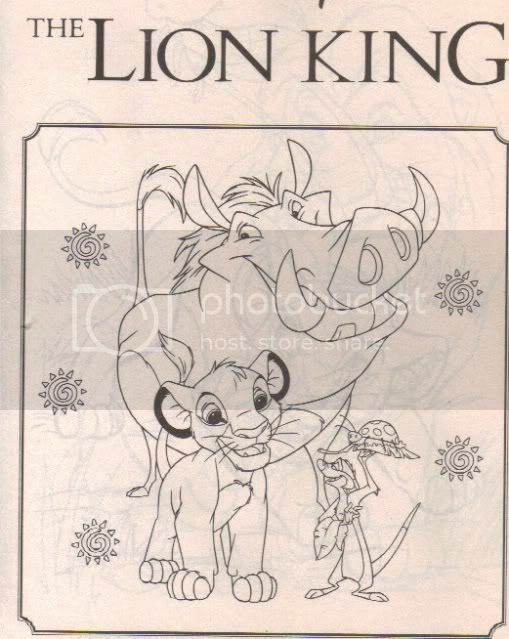 It includes a sericel (fine art) screen-printed reproduction of original animation artwork (Simba from Just can't wait to be king). 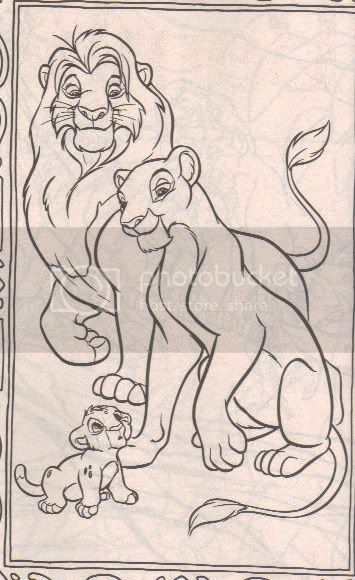 I give you...THE ART OF THE LION KING. Shown is the case, the book, the folder, the sericel, and certificate of authenticity. (and some various items in my room). You can zoom in and read stuff, the picture is huge. Here we have just one of many beautiful pages in this beastly book. 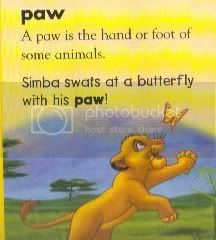 (seriously its an inch thick and more than a foot tall). 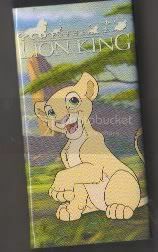 Next we have The Lion King: Six New Adventures, everyone seems to want these. 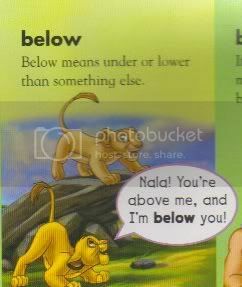 The books include A Tale of Two Brothers, Nala's Dare, Vulture Shock, A Snake in the Grass, Follow The Leader, and How True, Zazu? Re: Add your TLK Collection to the Gallery! Will put up more later. If the photo quality is not good enough, I can scan in the postcards if you prefer that. For me it's not a problem to do that! When my figurines arrive and when I have that board game I ordered, I'll put the pics of those up, too! Um guys it might be a while before you'll be able to see these in the gallery. LT - the picture is kind of fuzzy! I can barely see it. zTaka - the book looks great, but I'm not allowed to add pictures of the pages to the main site! 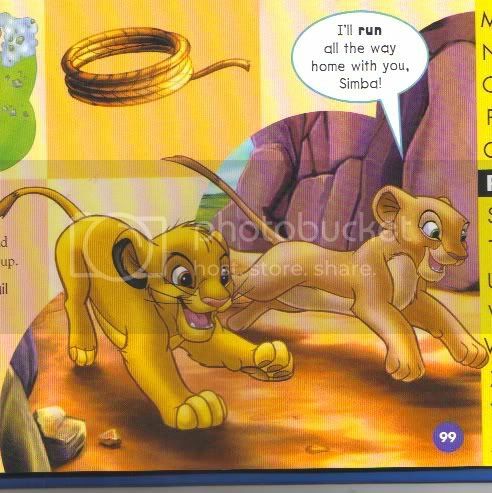 All pictures shown are Scans. LOL, I did the same exact thing. I got it for around 2 dollars, back in march. Then I switched everything from inside the case into a clamshell case, and now it's a nice, hard, mint condition copy of the movie.